If you're looking for something different. Something drop-dead-knock-em-dead gorgeous. Something totally big and bold and beautiful. Look no further. 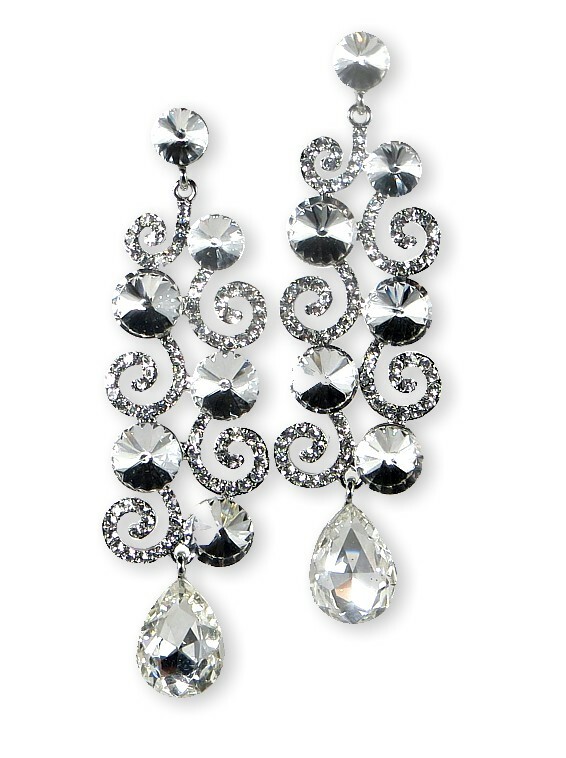 Standing in at an impressive 8cm (3") x 2.7cm (1"), these divinely decadent Swarovski crystal long drops make a fantastic statement of utter glamour and glitz. Add them to anything from ball gown to jeans and you're instantly ready to hit the town, night club, party - or maybe just equipped to be the focal point of a barbecue! Go Girl! Silver finish.